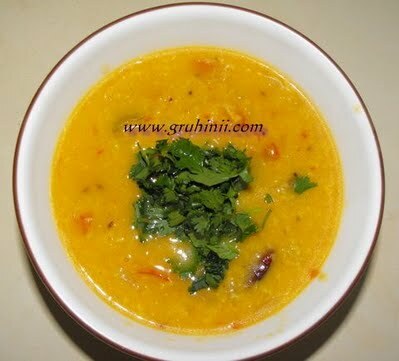 Take daal, tomatoes and onions in a pressure cooker. Add Mirchi, Haldi, Dhaniya Powder to it. Add water and cook till 3 whistles. Heat the oil over medium heat in a heavy sauce pan . When oil is hot, carefully add rai, jeera, dry red mirchi, hing. Once it splutters add the dal to the pan. 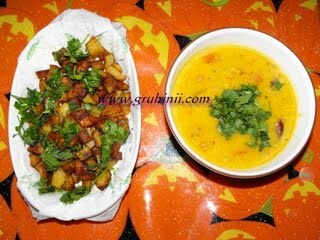 Now add the sambar powder.